The organisation, which was set up in 1999, aims to drive, recognize and mobilize change. It recognizes young role models who selflessly transform the lives of others for the better. It encapsulates Diana’s belief in the power of young people and focuses on her ‘kindness, compassion and service’. 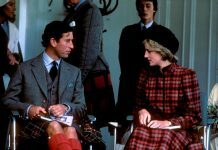 As well as National Kindness Day, which is intended to encourage people to do something for others, The Diana Award will celebrate her life’s work with a series of events throughout the anniversary year. It plans to launch an app and the Legacy Award, which will recognize 20 exceptional young people who’ve created positive social change. Nominations will be open to winners of the 2016-17 Diana Award, between the ages of 9-18, until the deadline on 17 March. And, apparently the initiative has the backing of Diana’s family. It’s been reported that her brother Earl Spencer has been involved with the planning and will host an exhibit, called ‘Walking In Her Shoes’, which will feature inspiring stories of young people, at Althorp, the family home. There will also be a fundraising gala in June. It’s unconfirmed which of the events Prince William and Prince Harry will be involved in, but it has been stated that they also support the award. Earlier this year, Prince William surprised press during a visit in East London by talking about his feelings following his mother’s death, when he was just 15. He said that he was ‘very angry’. 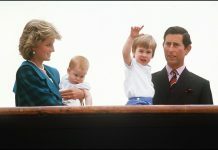 It’s expected there will be other events to commemorate Diana’s life during the anniversary this year. Kensington Palace has also announced that they will create a memorial garden which will include an exhibition of some of her most iconic looks. Next articleThe Shocking Details of Diana’s Death!